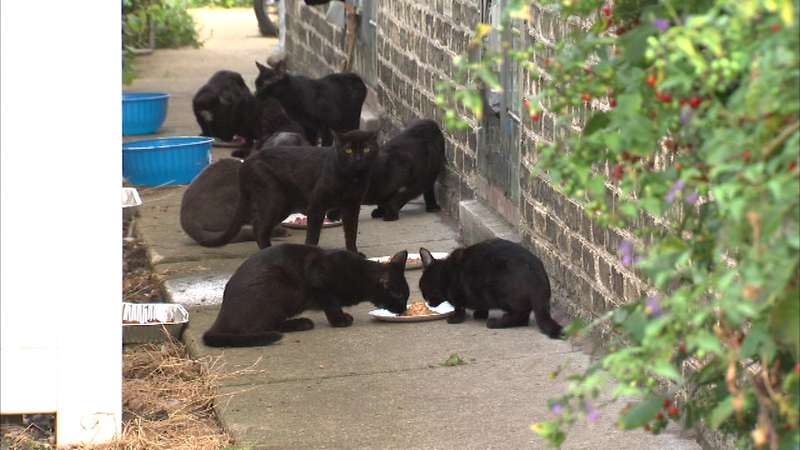 CHICAGO (WLS) -- Animal rescue workers have removed 109 cats from a vacant bungalow in the Belmont Central neighborhood, but said three or four more are hiding inside. Dozens of cats- mostly black- were found living in a vacant home in the Belmont Central neighborhood. Animal Care and Control, PAWS Chicago and Tree House began trapping the cats on Sunday. The City of Chicago began boarding up the home, which was deemed inhabitable, on Tuesday. However, animal rescuer workers saw more cats inside and began another search. Chicago Alderman Gilbert Villegas said the owner of the home, which is now in foreclosure, has been coming to feed the animals every night. The animals were taken to rescue shelters where they will be assessed and either adopted out or placed in cat colonies.